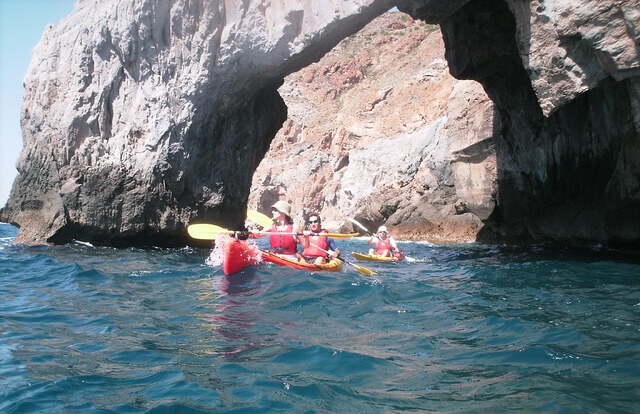 This tour is an easy and nice excursion reaching the cliffy area between Cartagena and Mazarrón. The bottom of the Mediterranean Sea at Cabo Tiñoso is home to large amounts of flora and fauna. We will be lucky to see a refuge fo bottlenose dolphins and several whale species. 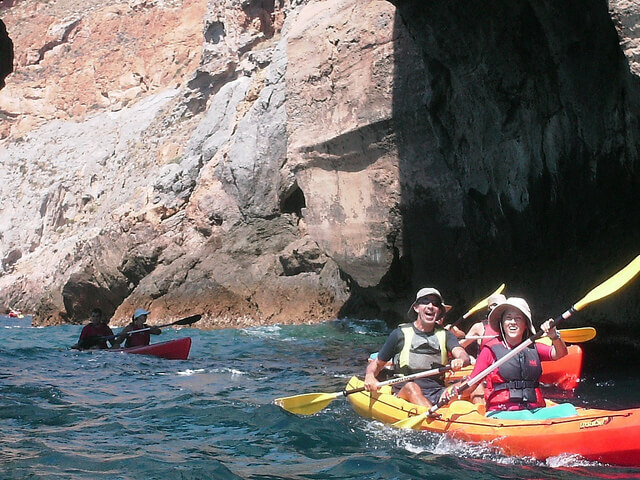 Dolphins and a rare species in the Mediterranean are easy to see when kayaking around the Cabo Tiñoso. 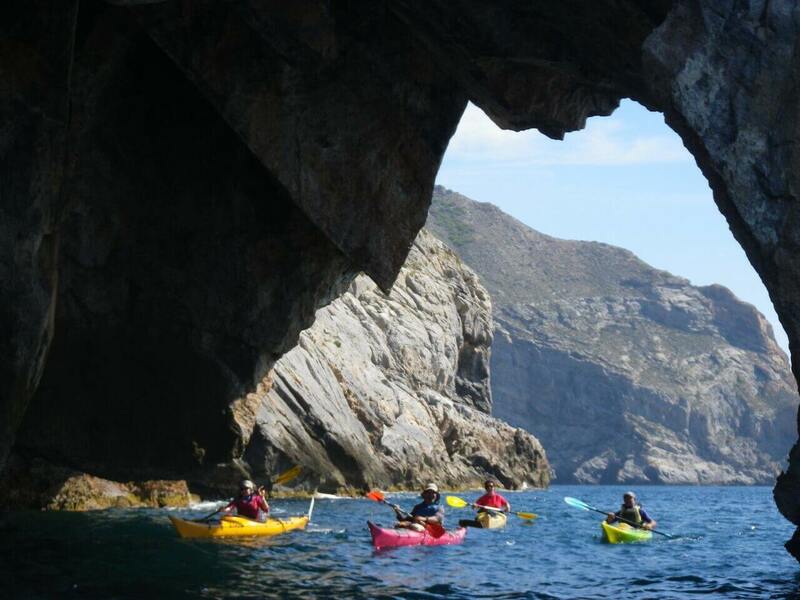 We will paddle from Portus reaching the protected area and cliffs of the Cabo Tiñoso, and we will be back to Portus, that will be a total of 18km of paddling round trip. The instructor will organize the group and will take care of the safety of the group in the water.